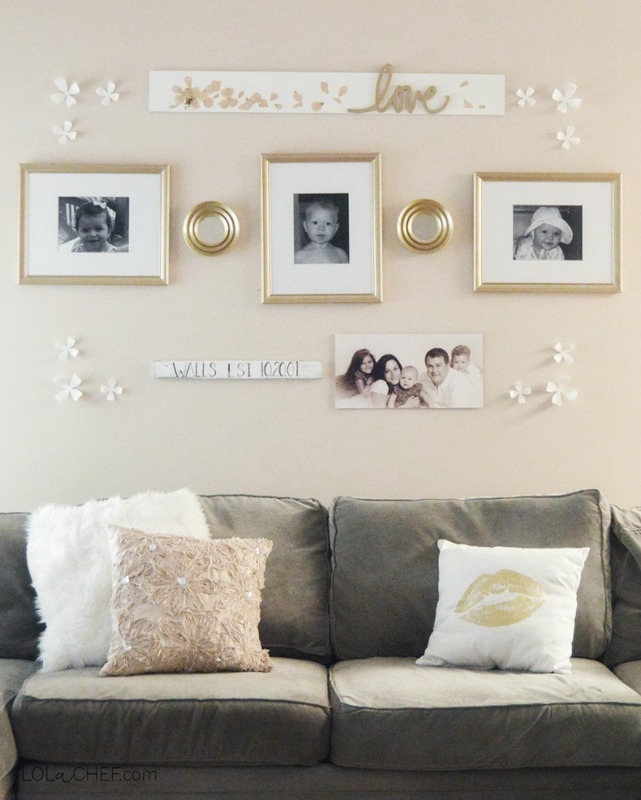 A good gallery wall doesn’t have to be expensive or overly complicated. Although, it should describe your personality and style. 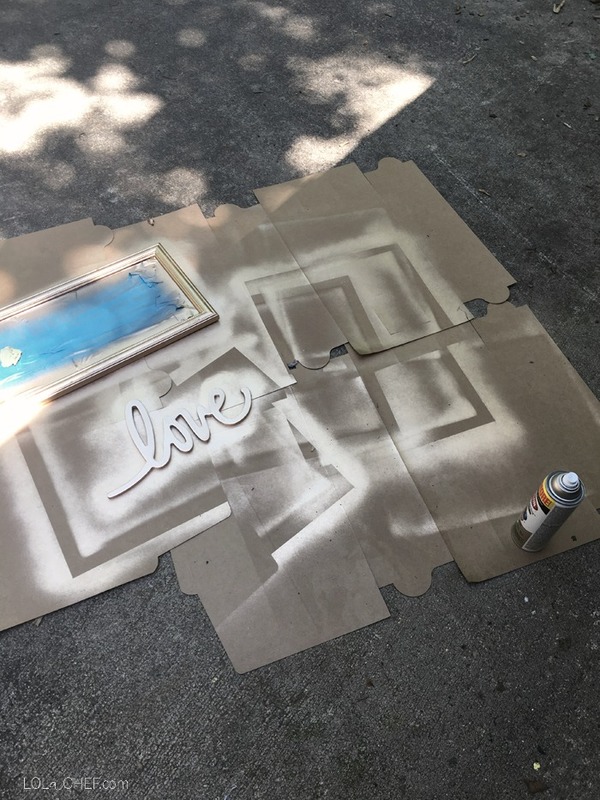 There are a lot of easy ways to add character and interest using simple inexpensive items. As you can probably see in my photo, I used a lot of family photos giving my entry way a personal touch. It is a close-up photo because this gallery was placed in a very small and narrow entry way. It was actually really hard to get a good photo, it was a very tight space. Yes, just because you have a small space doesn’t mean you can’t make it amazing. 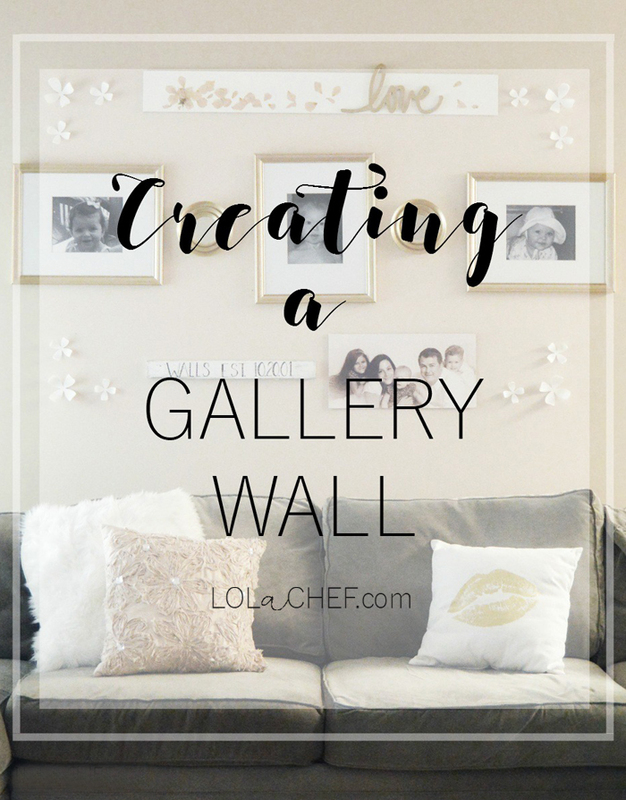 When it comes to a gallery wall the varieties of layouts and styles are endless. Whether it’s a large or small space a well-designed gallery wall can make a room. The fun part is making it your own, it is your house you can really do anything. I have a before and after gallery wall that I did. Both are good, but my redo fits my space better. I made a few mistakes that are not totally wrong, but I thought it could use improvement. I love adding a lighthearted feel to any atmosphere…if you look close the wedding photo had my husband and I making funny faces. Yes, that was my wedding day. If you can’t have fun with it then it isn’t worth it in my eyes. This was done before I recently moved. It was on my entry way wall, which was a tight squeeze. The items are small and I left it light and airy. It worked for the small space, it was hard to get a good picture since the hallway was narrow. For this, I used an eclectic blend of textures, materials, and shapes to create interest. I liked it, it felt put together and unique. Since then we have moved, the new house has a whole new layout and vibe. The walls were a different color and the ceilings were higher. When I hung my gallery wall, I felt all of the items were lost and floating on a huge wall. So, I decided to switch it up. There are not as many holes on the wall as you might think. Most of the items were hung with 3m strips. 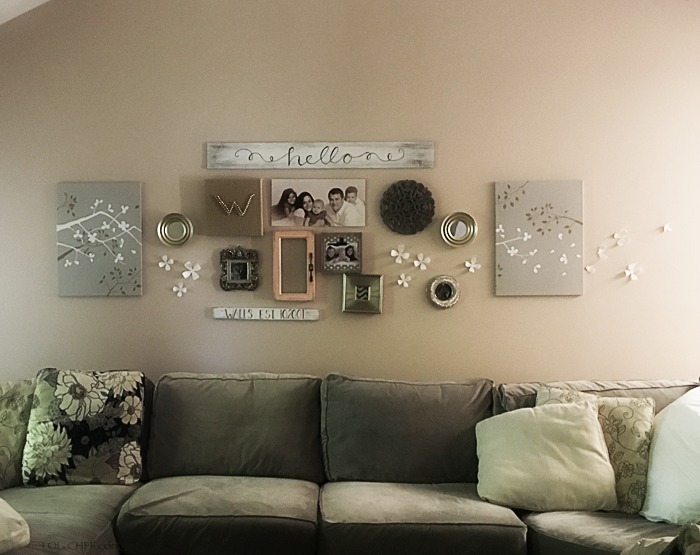 If you have ever heard of them they are like heavy duty velcro for your wall….pretty amazing! 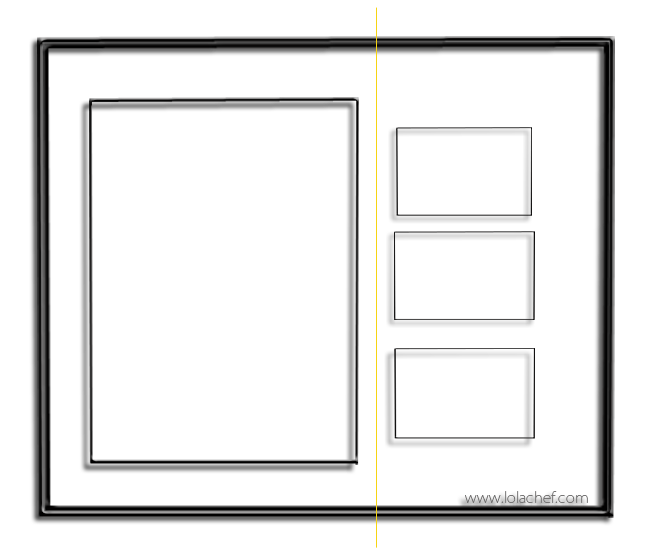 An important thing to do to help ease this project is to have an idea of what size you want it to be. How much area and how much space you want to cover. 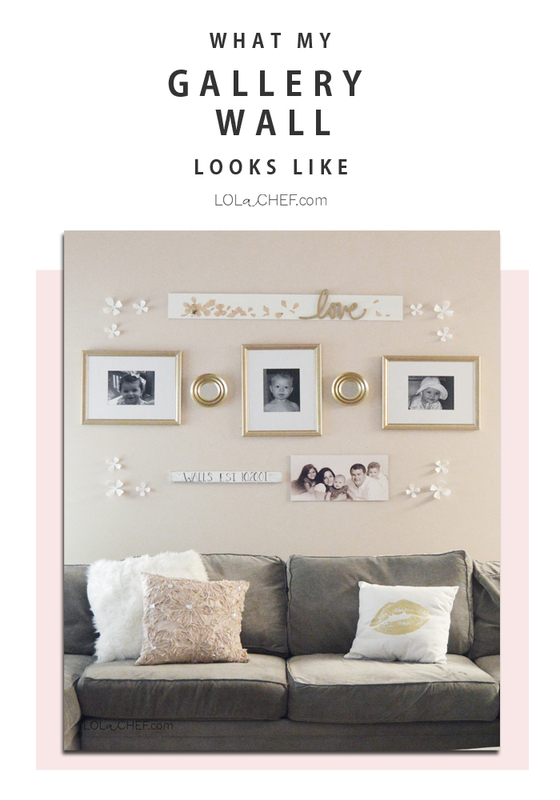 A gallery wall doesn’t have to stop in one room, it can transition to another wall or room. 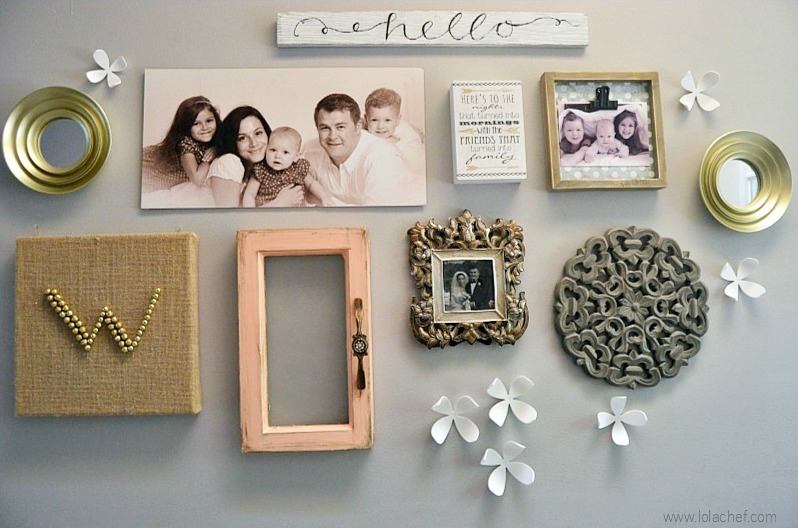 This type of gallery wall looks great in an open space. Once you have the area size try to think of what kind of style and materials you like the most. I like mixing soft with rustic textures, neutrals with some color, and a variety of sizes with a good balance makes it interesting. One style that is big right now is mixed metals and textures. My favorite is when the same decor moves to more than one wall. Or create some kind of cool optical illusion effect that makes you look twice. Notice the size of the couch in comparison to the small objects on the wall. This didn’t work and wasn’t as visually appealing as it was in the small space. This is the main reason I redid the wall. I felt it looked like a bunch of cute tiny pieces all floating together in an oversized space. I needed some larger pieces to set the larger scale tone. I chose to redo some photos I had of my kids. These photos were taken when each of them was just one year old. I found pics that I had taken of them and printed them out in black and white with silver frames. I decided to go gold. I feel like my new wall needed something pretty. Instead of buying new frames, I simply painted them. Then I matched the same gold paint to the circular mirrors so it would all match. I also changed up the hello sign. I wanted something different and unique. I felt that with the first gallery I tried to hard to make it a typical “gallery wall”, and it wasn’t what I wanted. Instead, I chose to make more of a family collage. 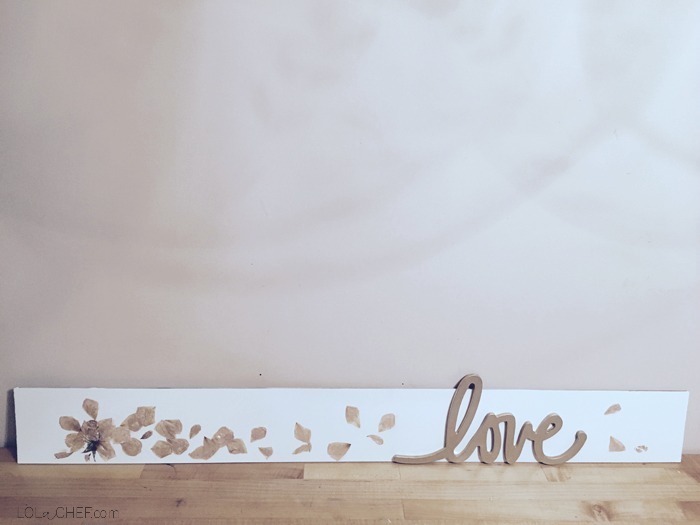 I changed the hello painted on a board to “love”, and added pressed flowers that my husband brought home. Also, my kids have been fighting a lot lately…kind of a subliminal message to them….you love each other! Sticking to some basic elements of design can help you with a great finished product. I try to pay attention to balance, scale and adding your own unique elements that are your personality. 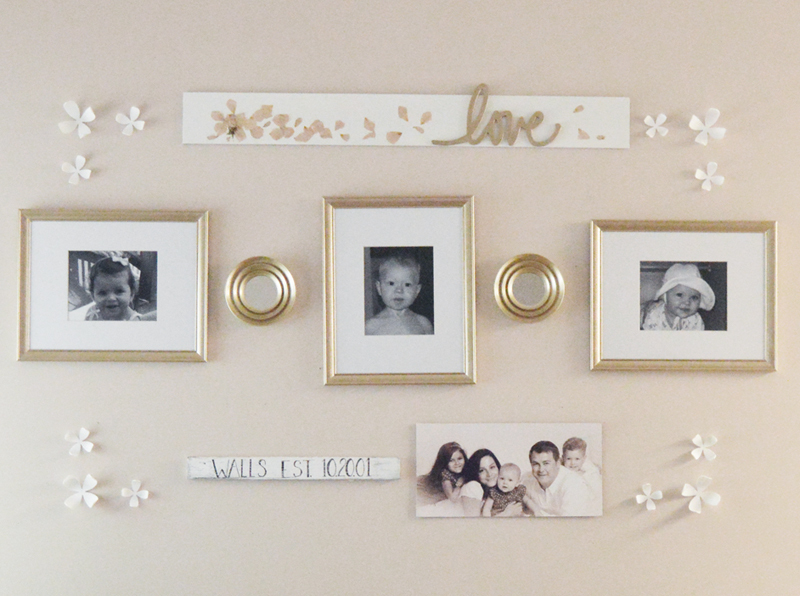 There are a lot of tutorials out there to help you make a “perfect” gallery wall. Since we are all perfectly imperfect in our own ways, the most important element is to add your own personality. This is where interest comes in. I like to add a surprise element, something unexpected that tells who you are. Maybe it’s a unique piece of art you acquired somewhere or something weird that only you like. That helps keeps the wall interesting, and is a great conversation piece when entertaining. The more strange or different the better in my opinion. The scale is the size of the object in relation to its surroundings. For example, on a large wall, an oversized frame looks perfect whereas a typical large frame could get lost. Have you ever went shopping for a couch and thought it was perfect…until you got home and it didn’t fit in your living room like you thought. 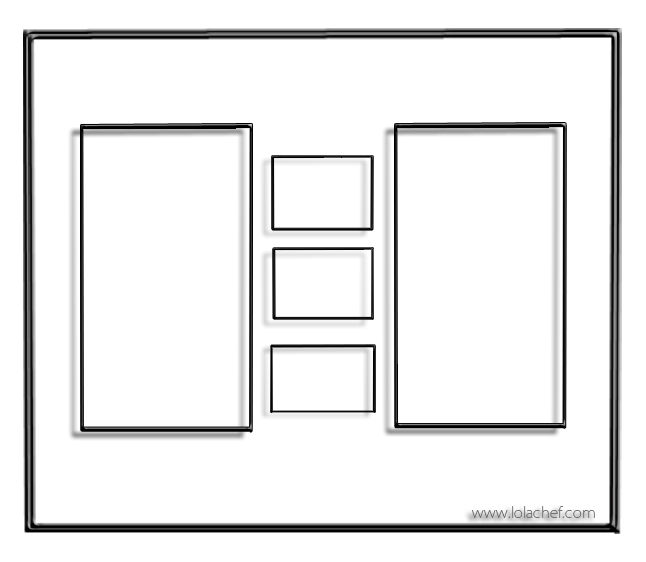 Since a lot of showrooms that display furniture are as large as warehouses. This is why you should bring a tape measure with you when shopping for furniture. That way you can avoid buying furniture or accessories that don’t fit. Funny story, kind of, about when we bought the gray couch in the photo. After we carried the bulkiest and most awkward part of the couch which was the corner piece up a flight of stairs to a bonus room…it didn’t fit. We couldn’t get it into the room through the doorway. We ended up taking off some crown molding of the door and busting a small portion of the wall to fit it in. Eventually…we got it. Make sure the items you will place on your wall are the right scale. Consider all surrounding elements, including the size of the room and all the furniture and accessories. Once, you have all the objects you want to display and they are scaled and interesting now it’s time to arrange them in a balanced way. For instance, if you have one large object and three smaller ones. you can arrange the large on one side and let the collage of three smaller ones balance the large one on the other side. Notice the large frame on the left is balanced by the three smaller on the other side. This is also and example of the 2/3rds rule of design. Using your eyeball, visualize a line and have one side take up 2/3 of the piece. This is just an example of a asymmetrical arrangement that doesn’t have to be basic frames. This would work well if you had a really cool wall hanging that you could offset with a unique grouping of some sort. This example is symmetrical because if you folded it in half each side would be identical. 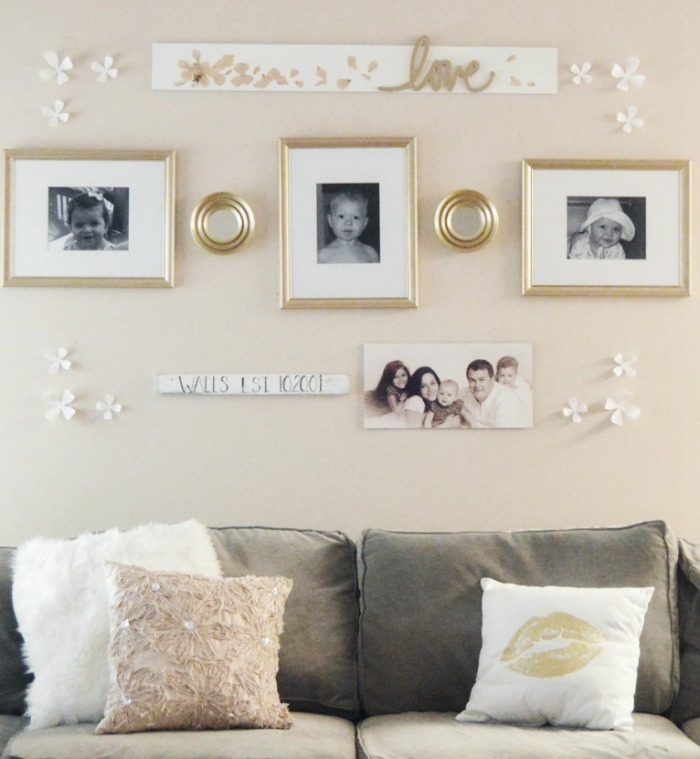 This is good for displaying a collage of family photos. I didn’t want to follow too many rules for my gallery wall revision. I tried to keep clean lines with a unique touch. 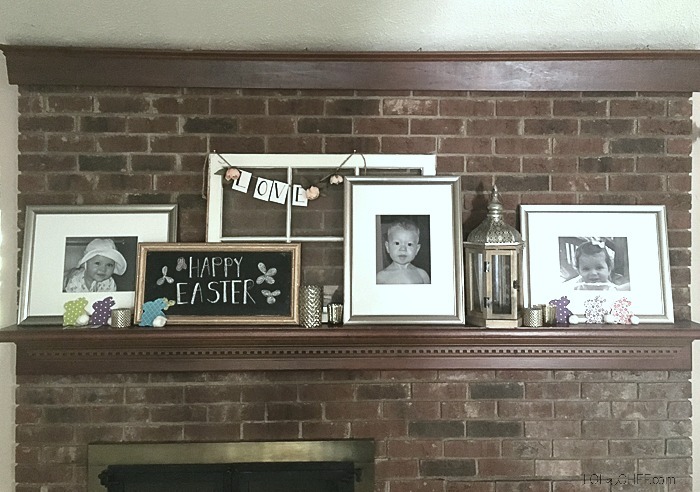 I had an idea that would use a set of three large matching frames that had a cute pic of my kids in it. I am over the silver and wanted a new look so I painted the frames gold. Then I redid the hello sign using a small wood love sign and some pressed flowers I had. The gold paint that I used worked well. I always test out the gold color on a sample material that I will be using. Gold can appear different than the color on the cap of the can, and the material can effect the outcome of the final product. I repainted the sign white, painted the wood letters gold and used mod podge to apply the pressed flower. 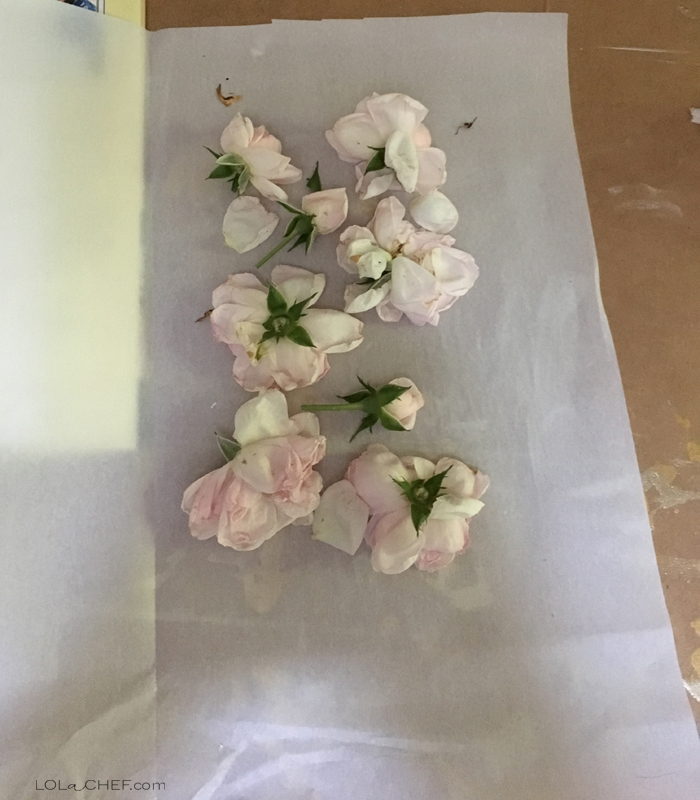 Once the flower was done it lacked some color so I used a pearl blush watercolor and brushed it the petals lightly for an extra splash of color. I arranged all the items for the wall on the floor to get an idea of how it would look together. Using the white plastic flowers from the previous gallery arrangement, I made a corner border to help tie the shape of the set up together. I basically used a family photos of and a established sign with a few simple design touches to pull it all together. This created a light airy design that is unexpected yet has a cohesive flow.